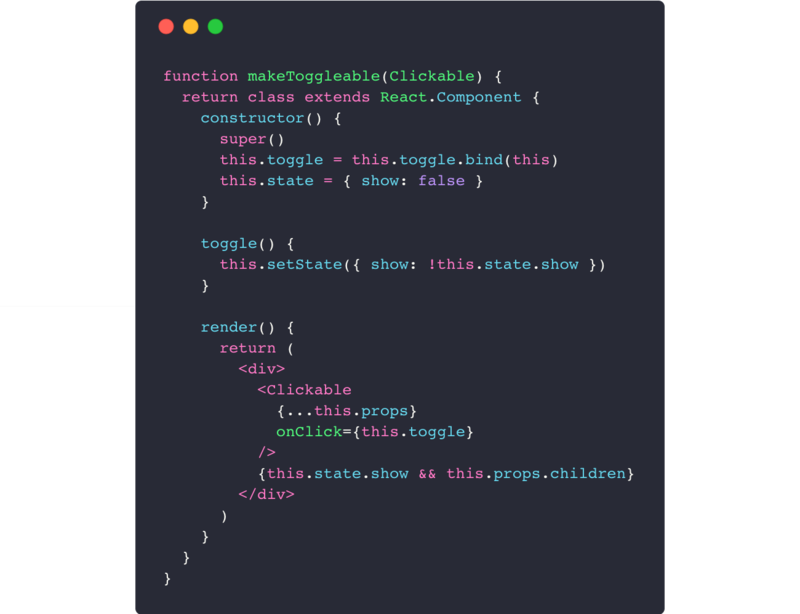 Just as Stateful and Stateless web services, React components can also hold and manipulate state during application usage (Stateful) — or just be a simple component that takes the input props and returns what to display (Stateless). As you can see, the last one’s constructor holds a component state, while the first one is a simple component that renders a text via props. This separation of concerns may look simple but makes Button component highly reusable. This approach divides data-fetching from rendering and also makes UserList reusable. 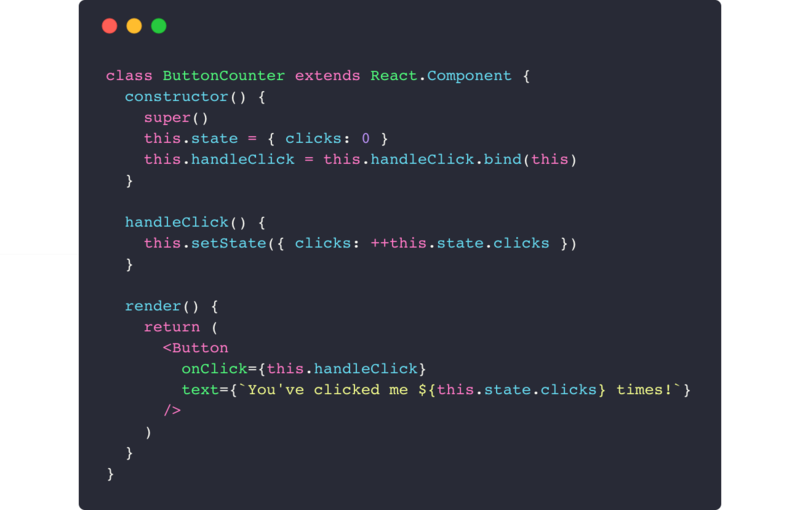 If you’re familiar with Redux’s connect or React Router’s withRouter functions, you’re already using HOCs! 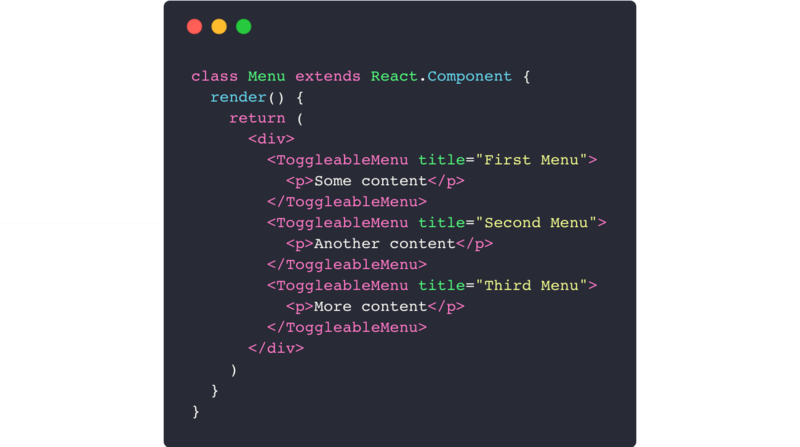 Our Menu component looks exactly the same as our HOC example! 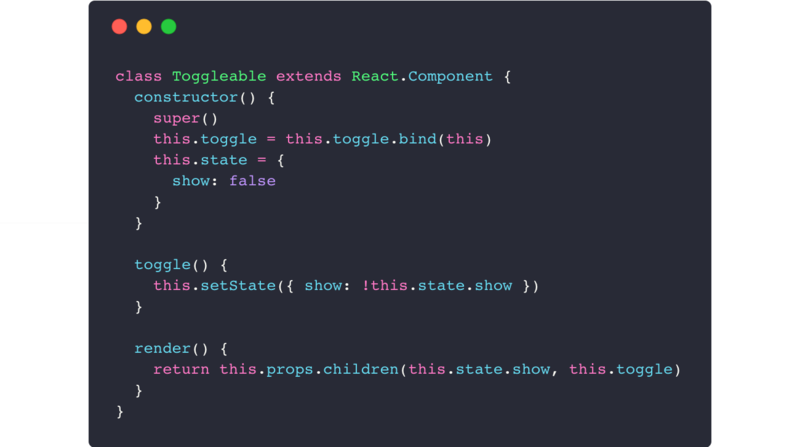 This approach is really useful when we want to change the rendered content itself regardless of state manipulation: as you can see, we’ve moved our render logic to our ToggleableMenu children function, but kept the state logic to our Toggleable component! This post is written by Gustavo Matheus.